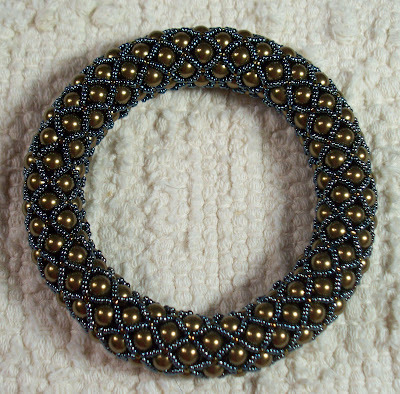 Read about an old pattern using some new style beads. Decided to give it a try. 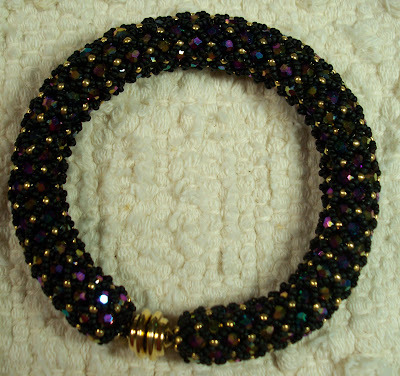 The brownish looking bracelet is done with an olive seed bead mix and gold ‘peanut’ beads. 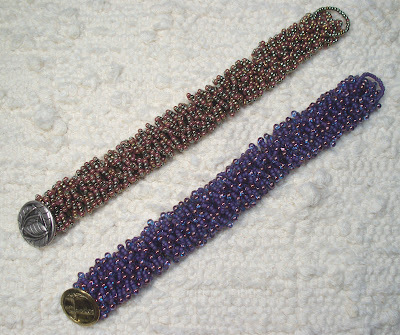 The purple bracelet is done with matte lavendar seed beads and transparent blue with purple drops. Different looks for the caterpillar bracelet. 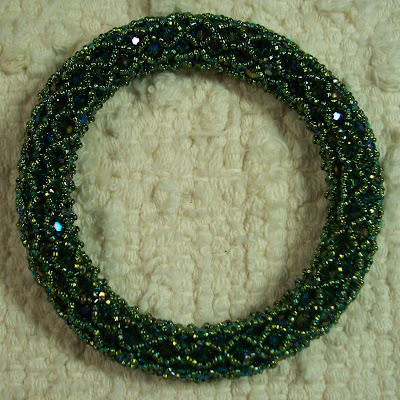 Have a couple more combinations selected but, right now, I’m back to the netted bangle. Will also be trying another interesting style. These are great projects for “I am tired and just want to sit in front of the TV for a while” time. Finally have my primary items done for the Houston Handweaver’s Artisan Market. This year my submissions will be bracelets and tapestry cards. I have not done any bead weaving in a long time but once I got started I couldn’t seem to stop. 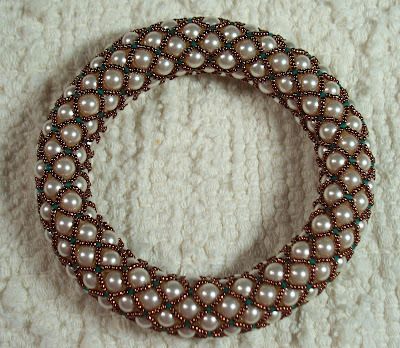 The pictures above are netted bangles made of Swarovski crystal pearls and Japanese seed beads. The netted bracelets pictured above are made of Czech AB cut glass (the pictures do not catch the sparkle of those beads) and Japanese seed beads. 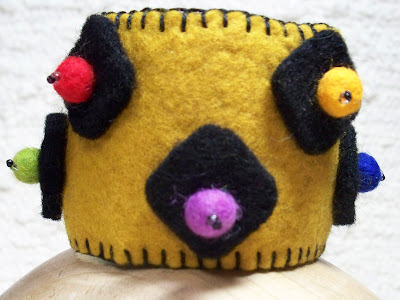 Last, but not least, is another felt cuff. After I wet felted the cuff, I thought I would bead it as I did the other. Then I noticed my stash of felt balls and decided this cuff should be the whimsical piece. It ended up being very funky and very fun. Now I need to assemble my tapestry cards using the weavings I finished a couple of months ago and I’ll be done. Then it’s on to the next show. 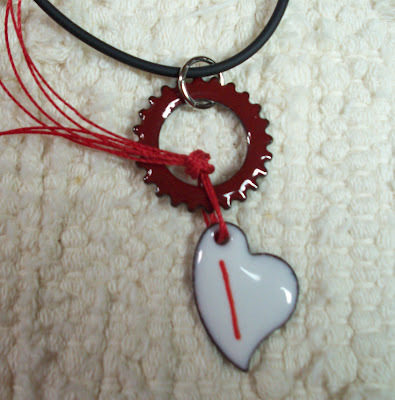 Had this piece accepted into the Green Jewelry: Upcycled/Recycled Show at 18 Hands Gallery. 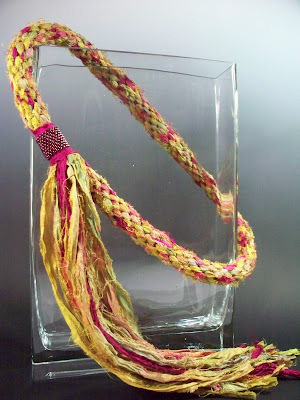 The technique is kumihimo and it is made with recycled sari silk. 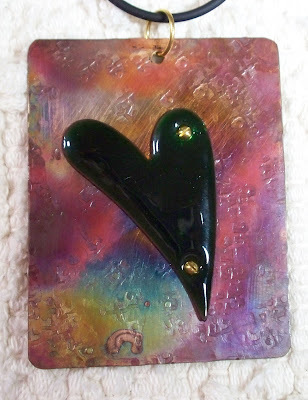 I just loved the colors in the silk and found some beads to accent the piece beautifully. The tassel has great character. All the pieces of silk have wonderful raveling. You can play with the ends for hours. A unique destination in the Houston Heights! 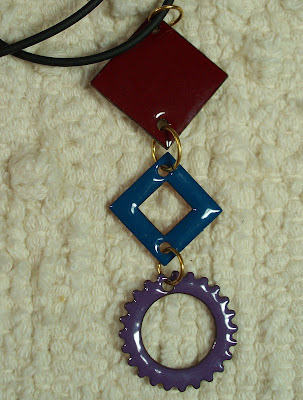 Our second annual Green Jewelry show features an array of exciting jewelry fashioned from unexpected materials! Opening Reception: Saturday, July 7, 6-9PM. Featured artists: Barbara Kile, Becky Mitchell, Criselda Lopez, Ivy Jensen, Kathryn Babboni, Kristi Wilson, Marguerite Belkin, Martha Ferguson, Mary Alice Tangora, Mary Thomas Davenport, Pat Powell, Robly A. Glover, Tatiana Ermakova, Vanessa Parker. The show goes on through the end of July. If you’re in the Houston area, see the exhibit if you can. 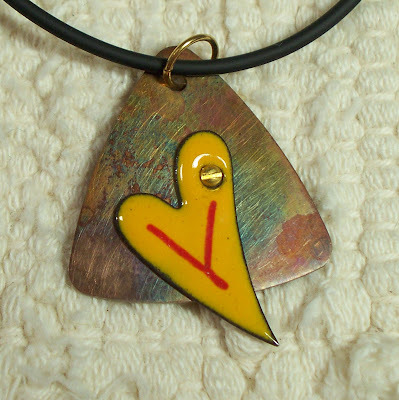 Look for details at http://www.18handsgallery.com. I’m included with some awesome artists. Very excited.